Mudpuppy’s cute starter stencils are a great inexpensive green holiday gift that serve as a perfect introduction to tracing, drawing and design for little ones. These attractive stencil sets come ready-to-use right out of the sweet tins they’re packaged in — and the easy-to-use hinged tin also makes these stencils travel-friendly and ready to go to a playdate or grandma’s house. Each durable stencil is made with greyboard containing at least 90% recycled paper and each is printed with non-toxic soy based inks. Every set includes 10 colorful stencils surrounding a common theme such as princesses, retro robots, travel around the world and much more – there’s sure to be a style your child will love. Mudpuppy's cute starter stencils are a great inexpensive green holiday gift that serve as a perfect introduction to tracing, drawing and design for little ones. 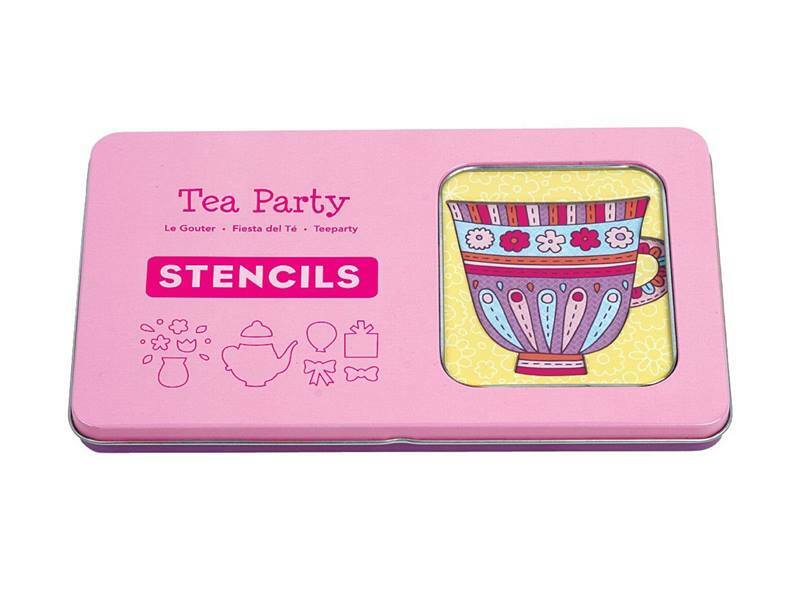 These attractive stencil sets come ready-to-use right out of the sweet tins they're packaged in -- and the easy-to-use hinged tin also makes these stencils travel-friendly and ready to go to a playdate or grandma's house. Each durable stencil is made with greyboard containing at least 90% recycled paper and each is printed with non-toxic soy based inks. Every set includes 10 colorful stencils surrounding a common theme such as princesses, retro robots, travel around the world and much more - there's sure to be a style your child will love.